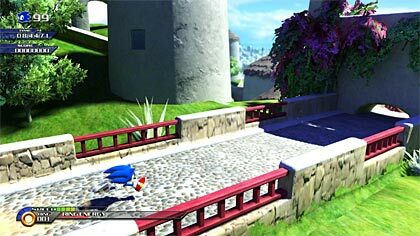 CCC's Sonic Unleashed Launch Site: Reviews, Previews, Cheats, Videos, Screenshots, Info, and more! Race as Sonic through intriguing locations across the globe to save a chaotic world! Ready to unleash the Werehog? Tight Navigation and Speed Control: A variety of special maneuvers help you move quickly through tricky situations. Ready to get the most out of Sonic Unleashed? Don't forget to check out our cheats section, where you'll find cheats, tricks, hints, and everything you need to know about secrets and unlockables included in the game. Keep checking back for more!